Double episodes of Series 1 airing every Saturday and Sunday from the 2nd of September at 10:00am on 7Flix. 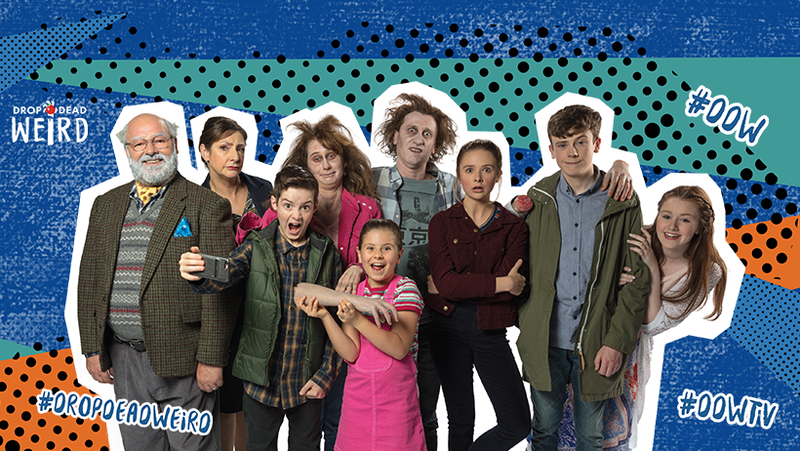 Drop Dead Weird is a children's comedy series that follows the hilarious antics of an Australian family who moves to Tubbershandy, an isolated seaside village in Western Ireland. The Champs move to Ireland to save the family B&B, as the bank is threatening to sell and local identity Bunni Shanahan is ready to take over. With three 'fish out of water' Aussie kids, one kooky Irish grandfather and two recently zombified parents running a B&B in a remote seaside Irish village... things are going to get weird... Drop Dead Weird! The three Aussie kids- Lulu, Bruce and Frankie are finding it hard enough fitting into a new hometown but now they have to harbour an enormous secret. Their parents are zombies. Yes, ZOMBIES. We're talking seriously undead with limited vocabularies and really terrible skin. The three kids must invent on a daily, even hourly basis a way to keep the truth under wraps or Bunni Shanahan will be on to them. Their schemes, ideas and unexpected twists in fate are a constant source of adventure and hilarity.